In an environment in which team members are already using Microsoft Outlook, you may want to integrate Outlook tasks and non-working time calendar entries into Project Central or integrate Project Central into Outlook. Both options are available for team members who want to coordinate all of their activities into one place. 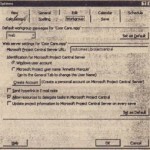 Although you can view Outlook tasks, you cannot edit them in any way. To remove Outlook tasks, clear the checkboxes and click Apply. 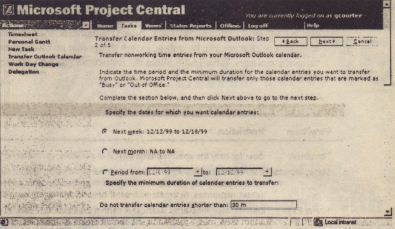 Although you ‘can’t see your entire calendar in Project Central, you can update your non-working time in Project Central. Non-working time is defined as time marked in your Outlook calendar as Busy or Out of the Office. To add these non-working time entries to Outlook, choose Transfer Outlook Calendar from the Actions pane, or choose Transfer Calendar Entries from Microsoft Outlook from the Tasks menu on the navigation bar. A wizard, shown in Figure 16.16, walks you through the steps of transferring the Outlook calendar ‘data. If you chose to send data to the project manager In Step 1, the fourth step of the wizard asks you to select which project manager you want to send the data to. 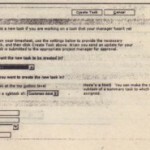 Select the project manager and click Add to address the message to them. 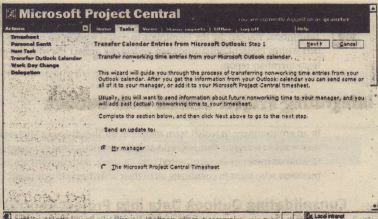 In Step 5, you see a preview of the message to the project manager or a preview of the timesheet data. Click Send to send the data. 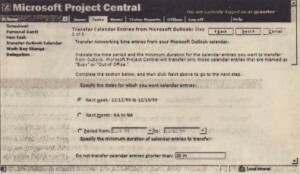 Business travel is a fact of life these days, and even if you can’t dial into your office server, you can still work with your Microsoft Project Central data. You can do just about everything offline that you can do online, except things that involve viewing, sending, and receiving messages. 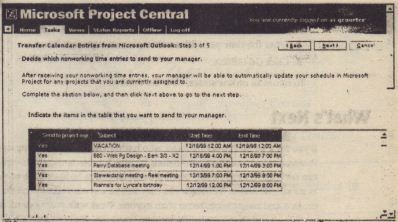 Table 16.2 outlines the restrictions you have when you are working with Project Central offline. 1. Click Offline on the Project Central navigation bar. 2. Enter the time period for which you wan~ project data. To return to online status, click Go Online. 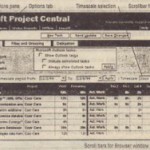 If you are a senior project manager who has responsibility for setting up users’ access to Project Central, assigning permissions for which projects users’ can view and what they can see when they get there, it’s important for you to be able to log on to Project Central as an administrator. Although you may not be a system administrator, you know your projects and assignments better than anyone. Work with your systems administrator to set this up and then clearly differentiate your roles. 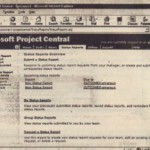 You can find out all about administering projects in Project Central . If.you are ready to evaluate and analyze your project data, move on to Part 1″Evaluating and Analyzing Project Data.” You’ll learn to work with views and reports, import and export Project data,. and close a project.